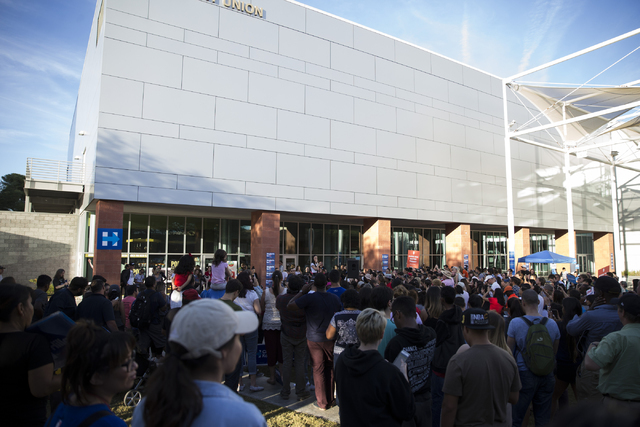 UNLV students relaxing in their dorms got an unexpected knock on their doors Saturday afternoon from pop star Katy Perry, who was roaming the halls and drumming up support for Hillary Clinton on the first day of early voting in Nevada. 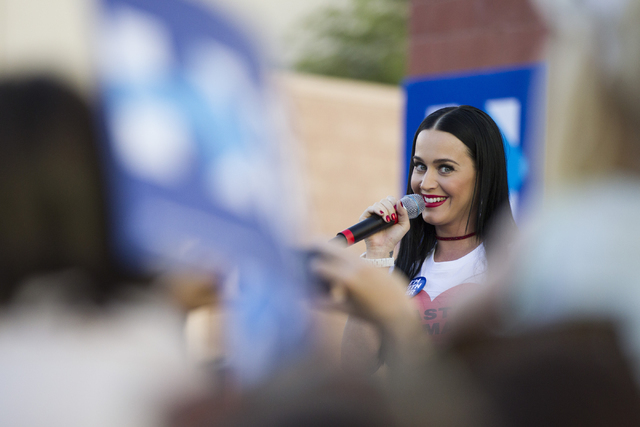 UNLV students relaxing in their dorms got an unexpected knock on their doors Saturday afternoon from Katy Perry, who was roaming the halls and drumming up support for Hillary Clinton on the first day of early voting in Nevada. The singer famous for songs like “Teenage Dream” and “Waking up in Vegas” was met with squeals and requests for selfies from the students. She sported bright red lipstick that matched her high heels and a T-shirt emblazoned with the phrase “Nasty Woman,” which has become a rallying cry for Clinton supporters after Donald Trump uttered it during Wednesday’s presidential debate. She encouraged one student she met who might have to drop out of the school to stay the course, telling her she’d been through her own troubles after being dropped from record labels three times. And she told about her own financial problems at 17 when she couldn’t buy a bag of chips without getting an overdraft charge. 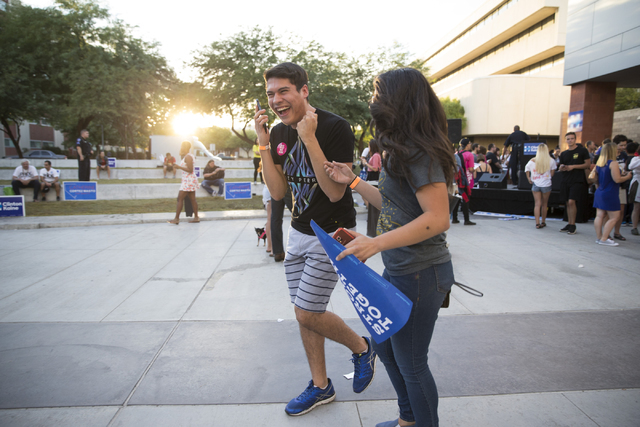 Perry followed up the surprise round of canvassing with a short outdoor rally on campus alongside Nevada Democratic Senate hopeful Catherine Cortez Masto. Perry didn’t sing any of her songs to the crowd of a few hundred people, although they blared over the loudspeakers while she greeted fans afterward. 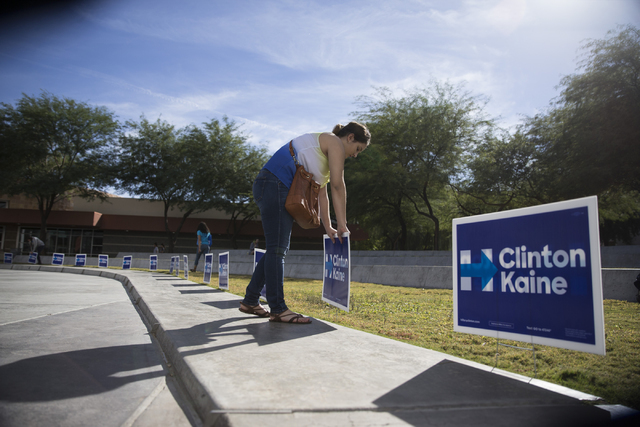 Polls show both the presidential and U.S. Senate races are close in Nevada. Experts say races like Cortez Masto’s will ride on turnout — the majority of which is expected to come during Nevada’s two-week early voting period. 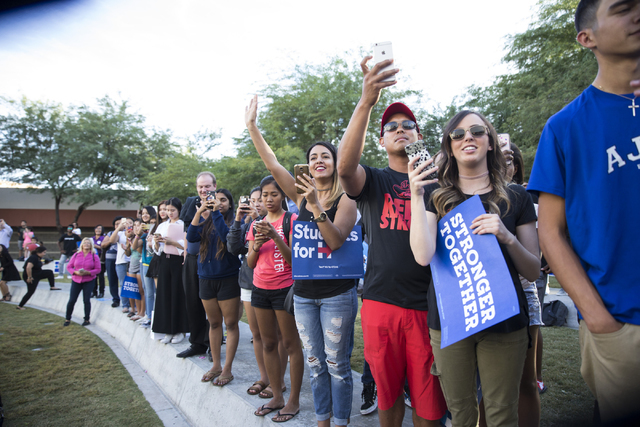 Democrats have been parading out a steady stream of stars to build excitement for the early voting period that tends to favor their party. They hosted the Mexican band Los Tigres del Norte after Wednesday’s debate and President Barack Obama on Sunday. 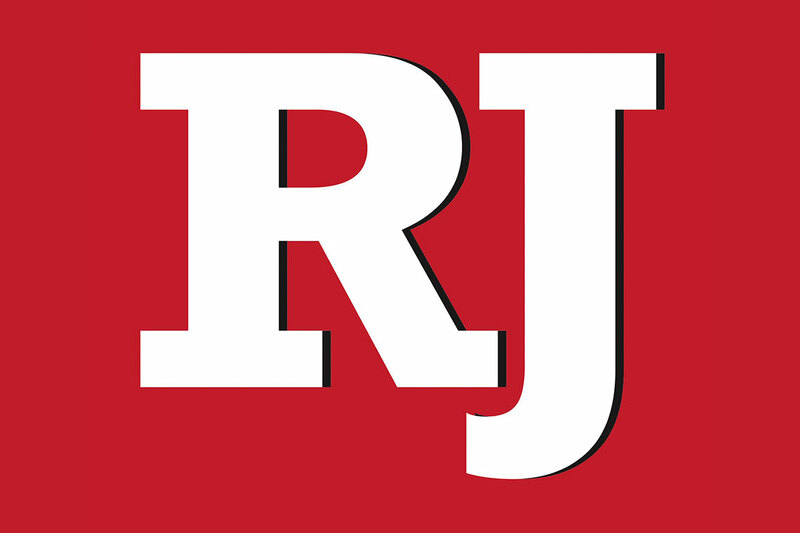 Saturday’s stop wasn’t the first time Perry has campaigned for Democrats in Nevada. 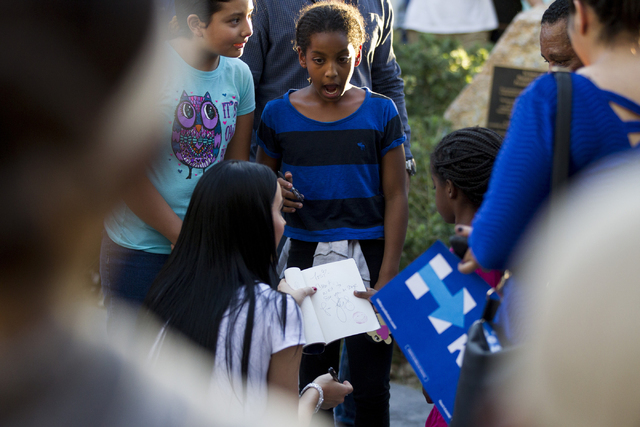 She did a rally in Las Vegas for Barack Obama in 2012 wearing a dress decorated like a ballot.